"I am enjoying learning your lessons very much. As you said the internal movement especially gives a good feeling, even though I can only do just a few of them. I do have problems turning on the heels. It seems that I can not cleanly turn on the heel and some time I find that I am really turning on my front sole or the entire foot is in contact with the ground during turning. I took several years of Karate before and familiar with several other martial arts, very seldom the turning is done on the heels. In fact, most of the stance is on the ball of the foot. I know you said that the power comes from the heel. Could you elaborate?" 1. Too large a stance or not sufficient knee bend. In this situation, when one shifts the weight to the front foot, the back footís heel will not be able to touch the ground. 2. Not able to lift the front of the foot off the ground. Lifting the front of the foot is not an everyday movement. Some people have difficulty in executing the lift in a timely fashion, especially when the leg is at an acute angle with the ground as in the case of the back foot when all the weight is at the front foot. Without the lift, one cannot turn on the heel cleanly. 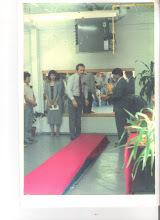 That is why the Tai Chi Walk lesson practices the lift movement. 3. Not using the power from the waist region to make the turn, instead of using power from the upper back." Is every Classical Tai Chi movement internal? 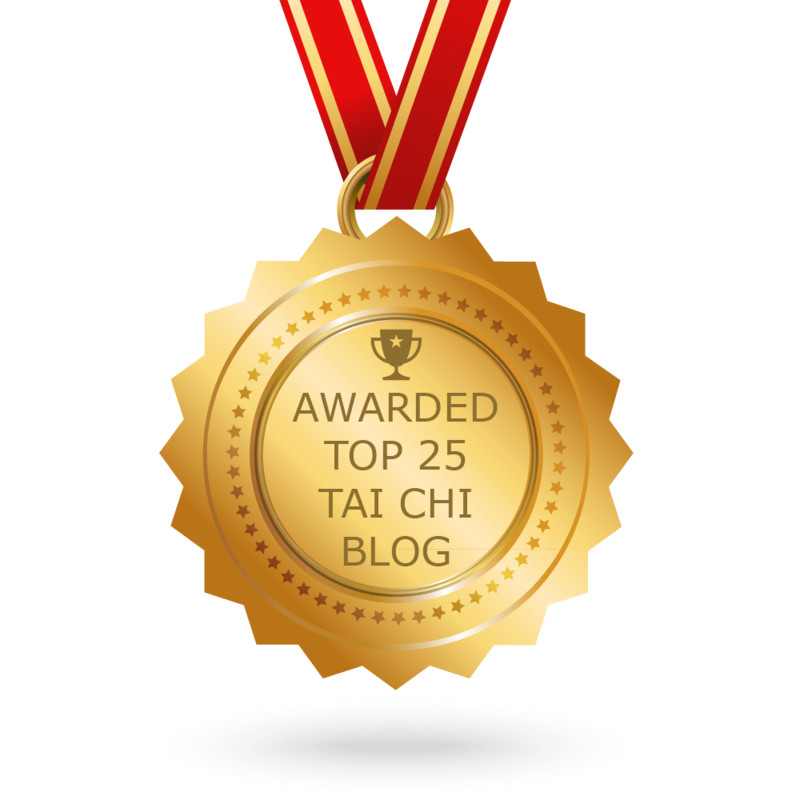 Internal Discipline in Tai Chi walk (see the link) "Very good discussion here and even bobbing the knee up and down while "walking" is a clear case of what is called localized nerve activity that one needs to minimize and eventually stop. Other foot movements really involve the power from the torso which moves the entire leg. Even the lift of the toe when sitting back should be an integral part of the sitting back and engaging the torso, not an isolated move of lifting the toe. The Tai Chi Form is developed such that every arm movement, every leg movement is initiated from internal movement so that the circulation of internal energy and qi will maintain continuity during Form playing. My students in the class often mention that they thought I just externally moved the arm or the foot in certain Form movements, but later realize that it is actually internally driven. They would ask, "Is that internal, is this internal?" My answer is always yes. " Stephen Hwa, Ph.D. This is indicative of modern-day Tai Chi where mistakes are made, no one is there to correct, it ends up being good exercise but it is definitely not Tai Chi. Classical Tai Chi has to be good for both health AND martial purposes. The martial teaches one to "stick" by first touching then following the opponent's movements. Why practitioners are not being corrected when the arm goes way behind the back and the hand is touching one's own body (which muddles your senses and one can infer they are training to follow only themselves, not an opponent) is indicative of modern Tai Chi. A good example of sticking shown in the video of Master Hwa is that in certain instances Tai Chi trains one to vigorously follow the opponent. 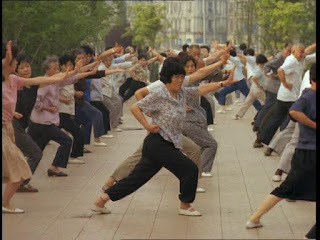 For example in a Forum, Master Stephen Hwa said: (as shown in the video) " Tai Chi uses the ball of the foot to push off such as the skipping steps after Needle at Bottom of the Sea. This enables one to pursue the opponent quickly. The purpose is to maintain "sticking" to the opponent; not letting him get away from one's touch. It is not used to build a momentum of the body; that is against the principle of Tai Chi. Also, before the nineteenth century, the Chinese did not have the habit of inventing new words whenever new things came along. So, they not only borrowed old words for new uses but also avoided the use of misleading words. For example, a student mentioned “ting jin”. That literally means listening (ting) to the opponent’s power or force (jin). In other words, you will sense what the opponent is trying to do so one could respond accordingly. All senses are needed to get the information: touch and feel, look, and anticipation based on experience with that person. Early masters avoided the use of the word "feel". Because, if one uses the word “feel”, then students will concentrate on touch and feel, and lose out on developing other senses. So they picked a neutral, completely abstract word “listening” (ting) as a name"
"Tell me how to open meridian?" and "Why did Wu change Yangs Style"? Develop Internal Energy and open your meridian. Mr. Hwa, could you tell me how to open my meridian? "Learn the internal discipline of Classical Tai Chi. When you practice Tai Chi this way, you will develop internal energy circulating in your body which will open your meridian. 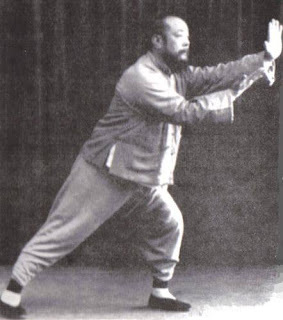 I encourage students to look at my YouTube channel found in the hyperlink above"
A student some time ago asked me via email: "How does the second generation of Wu's family change the posture from the original upright posture of Yang's Tai Chi to a straight lean?" Perhaps one answer is to ask why ask this question before you practice instead of practicing and finding the answer for yourself? I have expanded on my original response to this individual for a more detailed answer. 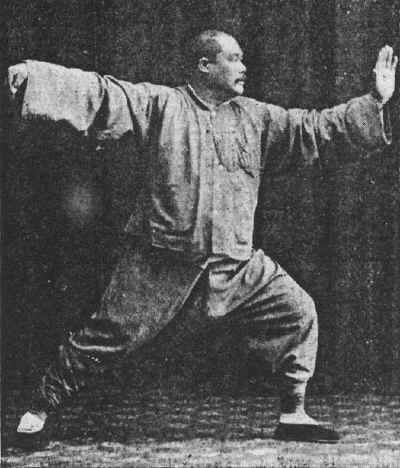 The modern-day Tai Chi Classics do refer to "not leaning" when doing the Tai Chi, but who knows what those words were before the work was "interpreted" by various authors. I did Yang Tai Chi before Wu, I never cared for the way it made my back feel. Also, "Leaning" to me is leaning as in "he was leaning on me". I think of the postures as "tilted" but one does not say he was "tilting on me". The Classics also refer to postures as being "straight" and the misconception is that a "tilted" posture is not straight. Note you do not even see the word perpendicular in the Classics. However, "straight" could also be a flagpole planted in the ground at a 45-degree angle could it not? Regarding any questions about why "the second generation "changed" from upright to lean: I can only repeat what I am told to my limited understanding and ask you a couple questions: Don't you think Yang Family would have plenty of opportunities and objected strenuously since Wu's later did many push hands with them? How could it be changed when it was already in a state where it was far ahead in its progress? 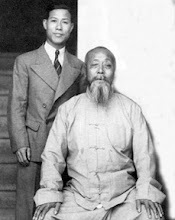 My teacher tells me Wu Chien Chuan told Young Wabu "it cannot be changed". I see he did not say it was changed or it was not changed... he said: "it cannot be changed". Over time, I eventually began to understand this when I realized not only the learning is multi-generational but the eventual consequences...the "benefits" as well..."time" invested is the ultimate and deciding factor to all understanding. In other words, since "time" is the catalyst, asking such questions early on in one's study leads inevitably to a bitter taste as one will not like any answer that is given, asking when one is experienced will always leave a good taste in one's mouth.